Catch some rays while protecting your skin with our sun care essentials. The best of sun care + self tanning. Caring for your skin before, during, and after sun exposure is more important today than ever before. The earth’s natural shield – the ozone layer – that protects the planet from most of the sun’s ultraviolet rays, is not as thick as it once was. This means we have less natural protection from UVA and UVB rays. Let’s find out how the right sun care products can help decrease some of the harmful effects of sun exposure and give you skin that’s visibly even-toned and radiantly hydrated. Begin with your moisturizer before applying sunscreen to your face and body as part of your daily skin care routine. Ensure that you pick sun care products that are right for your specific skin type. For example, sensitive skin will benefit from a light cream that helps to prevent irritation and redness while offering a broad spectrum SPF to protect skin against harmful UVA and UVB rays. 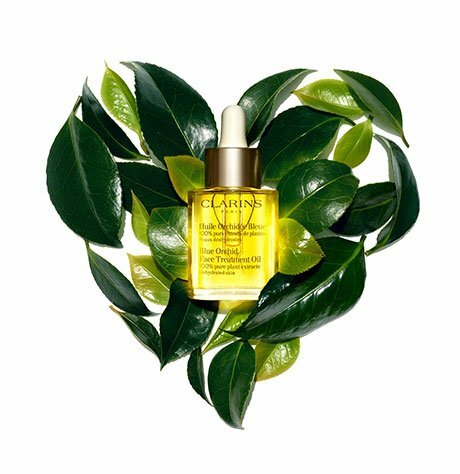 All Clarins sun care products are enriched with nutrients from ethically sourced plant extracts, carefully chosen for their beauty benefits while also helping to reduce the risk of early skin-aging and other possible damages of sun exposure. Keep in mind that sun care for the body is important, but the face is especially vulnerable to wrinkles and premature aging. The sun is your body’s best source of vitamin D. When your bare skin is exposed to sunlight, UVB rays tell your gut to absorb the calcium and phosphorus you need for strong, healthy bones. But too much sunlight can damage your skin. Use sun care products that are suited to your skin, your lifestyle, and circumstances. For everyday sun protection under makeup or for short periods of exposure in cooler weather, a broad spectrum SPF of 15 or 30 will usually be enough to lessen the risk of sun damage to your skin. Whereas in the summer months, you’ll want to use sun care products that offer not only a higher SPF, but deliver additional benefits to your skin, like decreasing the drying effects of sun, salt water, and chlorine to your skin and hair. Remember to reapply sunscreen every two hours if you’re spending a lot of time outdoors, and immediately after swimming or sweating. After exposure to the sun, the skin on your face, body and delicate décolleté needs to be replenished and moisturized. An Ultra-Soothing Gel takes the sting out of sun exposure while After Sun Moisturizers leave your body feeling soft and satin-smooth. Self-tanners for face and body are still the safest way to achieve a tanned complexion all year round, while still nourishing and minimizing the long-term effects of sun damage to your skin. So, go ahead – treat yourself to radiant-looking skin! No one wants to look older than they are, and proper sun care plays an essential role in reducing the risk of aging skin. Now that you know how to protect your skin all year long, sun care is more than just cosmetic — it’s a part of good health, too.